Yes, it's actually a "day". It's an opportunity for teachers to promote learning about how the sense of smell works. Did you know the domestic cat's sense of smell is about 14 times that of a human? We kitties would like to take this opportunity to remind you humans to scoop out our litterboxes. You are such a beauty, Allie. Great reminder too! those are some beautifully impressive whiskers there Allie..
SUPER pics of you, Allie. Swooooon - those WHISKERS!!! Mom knows our sense of smell is very very good. When Dad comes in the house, I sniff his shoes and I know exactly all the places he has gone. Such beautiful pictures. Are you enjoying the scent of spring? What lovely pictures of you, Allie! Way to remind the humans about scoopin' the box! 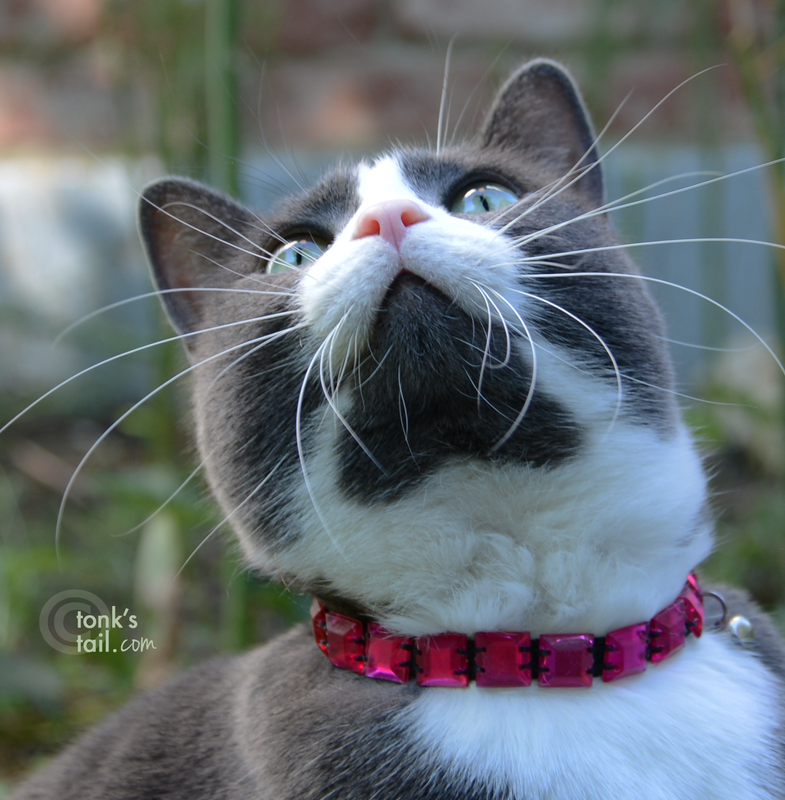 Wow those are super duper gorgeous whiskers Miss Allie! And such a cute little pink nose! Where do you FIND all these days? It's true that we kitties have a much better sense of smell than humans! I wish they would realize that and act accordingly when it comes to stinky stuff. We'd like to remind our humans to OPEN THE WINDOWS FOR WHIFFIES too. Thank you. Hey kitty, I'm a scent hound, I live for smells. Even past my smell tests last night. I know about your cat boxes too...yikes! They can be nasty! Cute photos- sometimes it seems all we do is scoop :) Please visit our giveaway. Oh great, it's National Sense of Smell Day and we're STILL trying to get rid of our skunk smells. Figures! 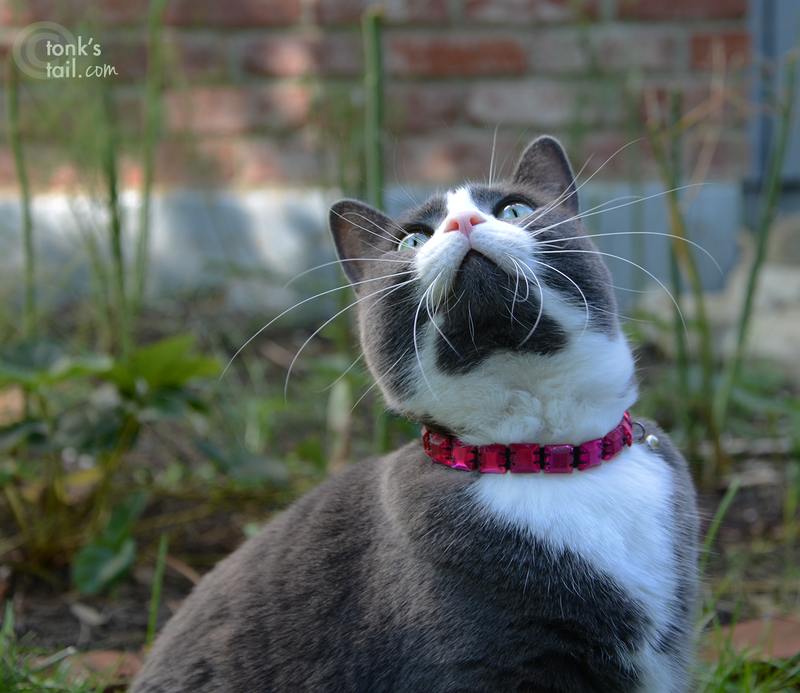 Your pretty, pink nose must be working a mile a minute out there, Allie! Are you getting some good sniffs out there, Allie?? And mes LOVES stinky tuna! YEAH! Thank you for the PSA. Rumbledad is in charge of litter changes and Rumblemum is always having to either do it herself or remind him. Next time she's gonna show him THIS! Yeah, sense of smell is IMPAWTANT!